As you know Brian, his parents were Donald McDonell and Grace McDonell. 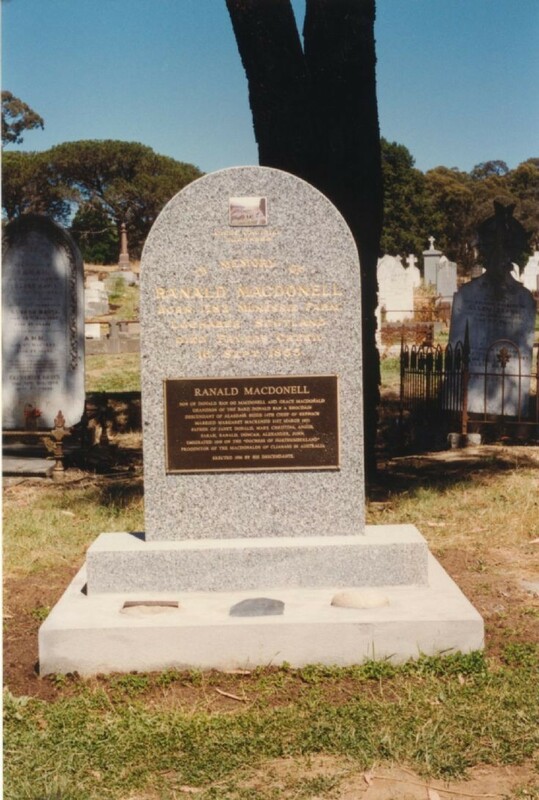 Ranald was married in 1821 "Ronald (Donald ban og's son) MacDonald Munessie .........MacKenzie 15th March 1821). Grace McDonell was probably the daughter of Ranald MacDonell of Aberarder, so thus she would be a sister of John Dubh Aberarder who lived at Killichonate. Donald ban og was a grandson of Alexander 2nd of Clianaig.